This week we’re swooning over the über trendy designer Lee Broom, you’ll have seen his designs in the trendiest bars, restaurants and retail outlets around London and most famously his decorative bulbs design. Lee Broom’s theatrical upbringing has heavily contributed to his design collections which feature bold patterns, luxurious cut shapes and dazzling finishes. Starting out at theatre school Broom’s career suddenly took a different turn when he won a fashion design competition at the age of 17. This quickly followed with a job working for Vivienne Westwood. 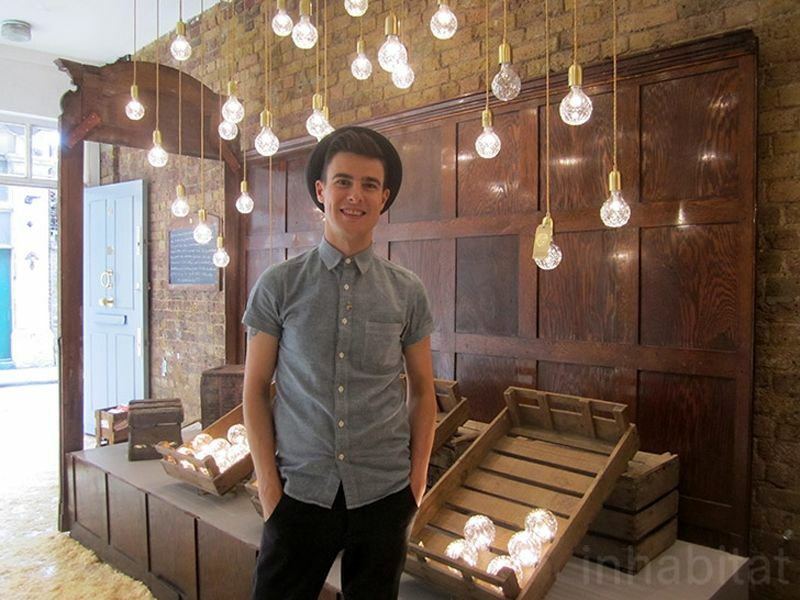 Broom has designed a number of award winning home-ware installations but it’s his lighting collections that have really put him at the forefront of the interior design world and it’s these creations we’re looking at today, particularly his Crystal decorative bulbs creation and the decanter pendants. Broom’s crystal decorative bulbs design was inspired by original glass cutting techniques and patterns, the design transforms a traditional bulb form into a stunning decorative piece of art. The intricately cut pattern on each bulb is reminiscent of a traditional whiskey decanter design which Broom was heavily influenced by. The bulb is designed to hang as a single pendant, can be grouped together as a cluster pendant or can be simply displayed in a lamp base, Broom has extended this collection to include a table lamp version. The glass is available in clear and frosted finish. 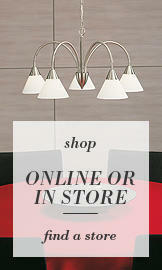 You can check out how the crystal decorative bulbs are made here. 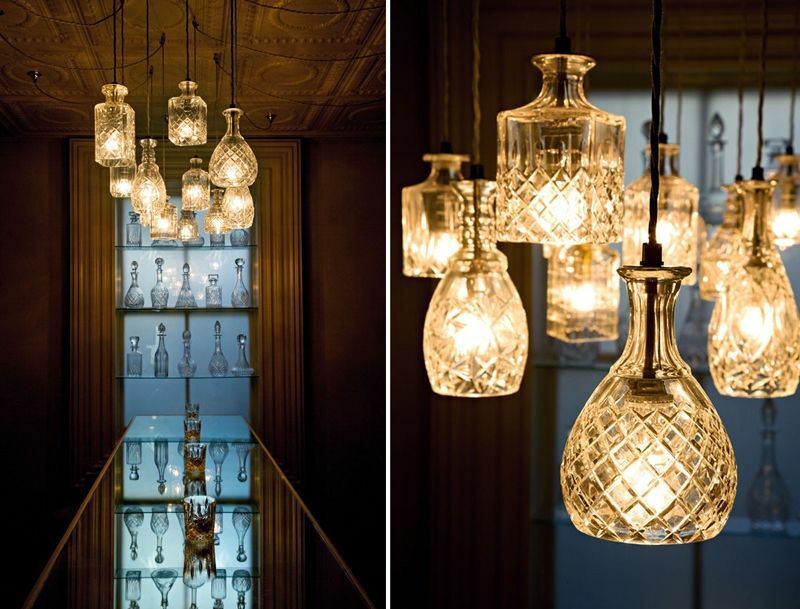 Another of Broom’s creations is his very popular decanter glass pendant, the first design of this installation in May 2010 was created using original vintage whiskey decanters that were sourced at a flea market, due to mass production Broom designed his own version for commercial sale. Each glass has been hand crafted to reflect the original vintage form. Broom has created a collection of single pendants, table lamps and cluster pendants all using this wonderful enchanting glass all available in clear or gold polished glass. This stunning design can be seen at Coquine, a swanky cocktail bar and restaurant in Chelsea.